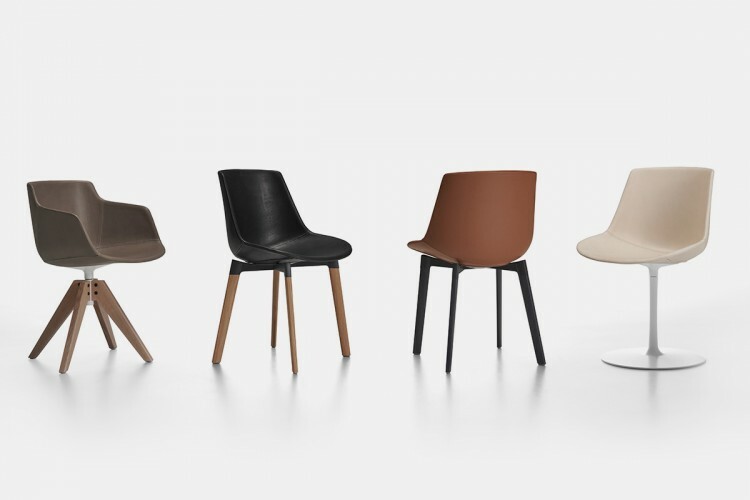 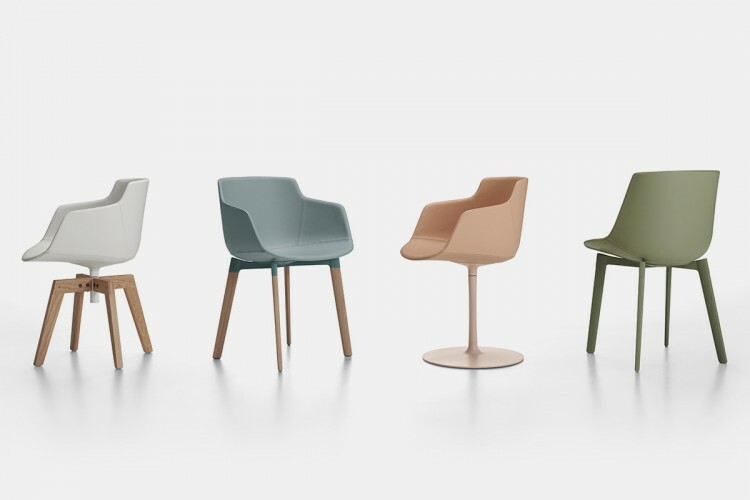 Flow Chair and Flow Slim’s smart, simple and eye-catching design, crosses the boundaries of its democratic cross-cutting nature, changing skin and turning into an even richer, elegant and tailor-made product, to meet the needs of a market aiming at refinement. 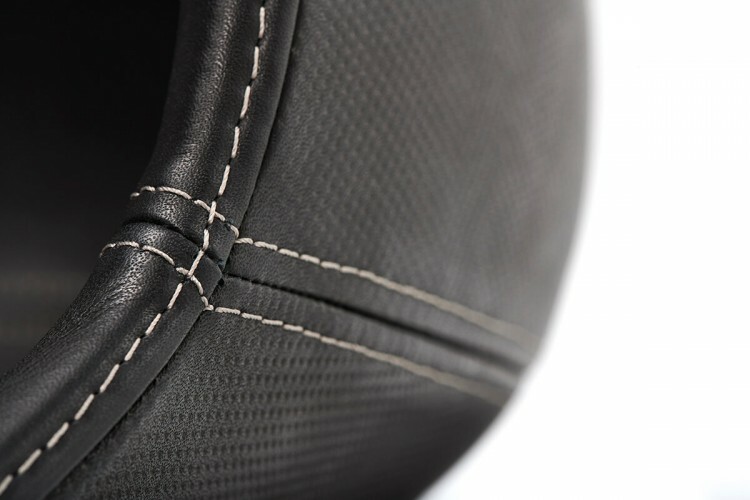 This is how Flow Leather was born. 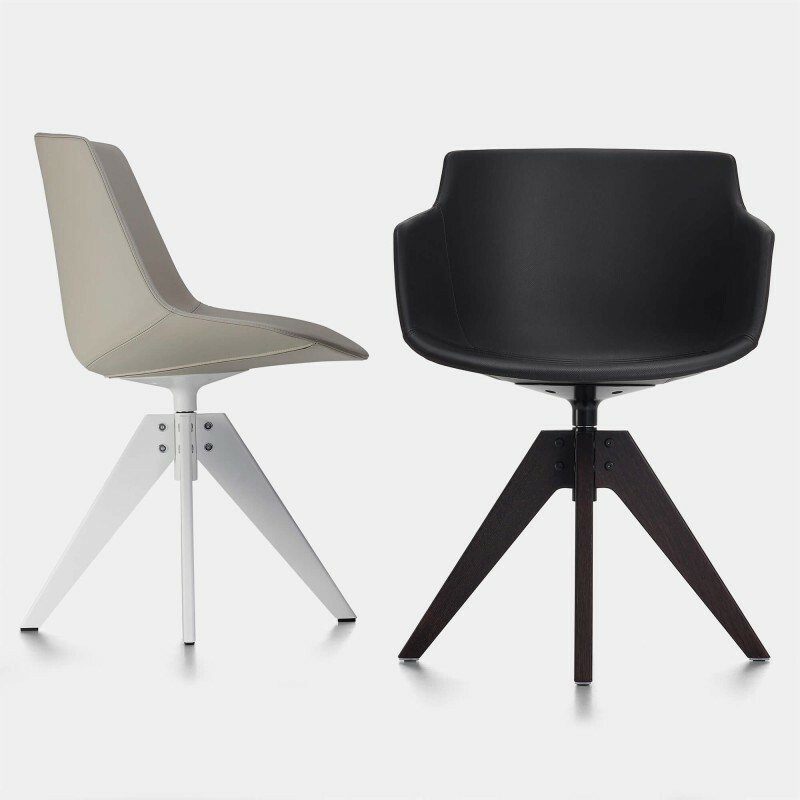 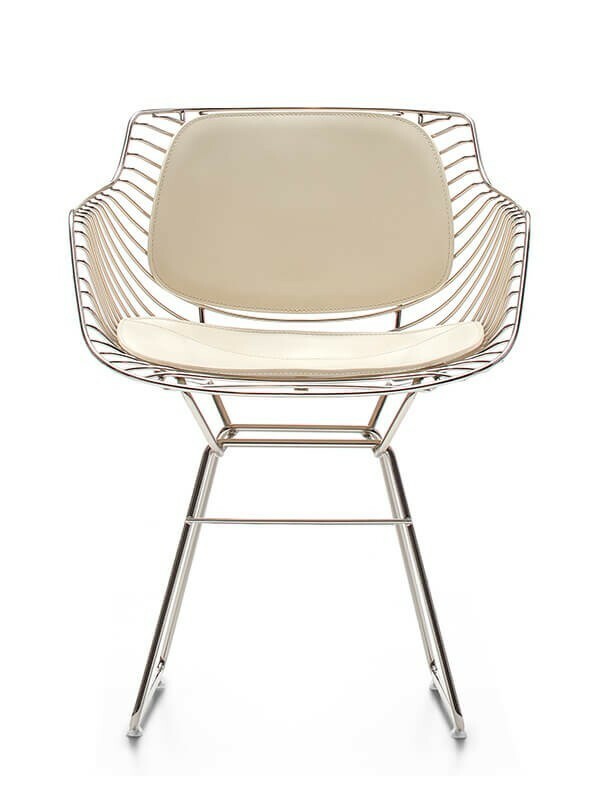 Jean Marie Massaud’s chair comes coated in two types of leather. 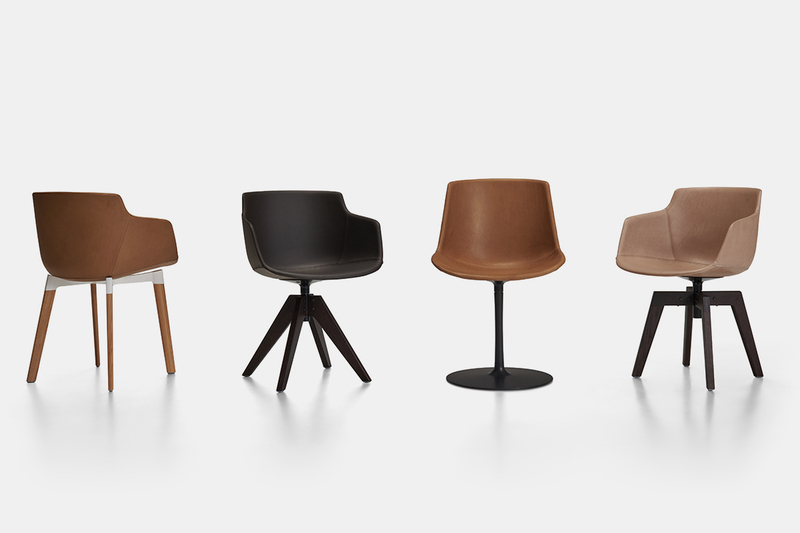 The former, Lanilina leather, is offered in seven different colours. 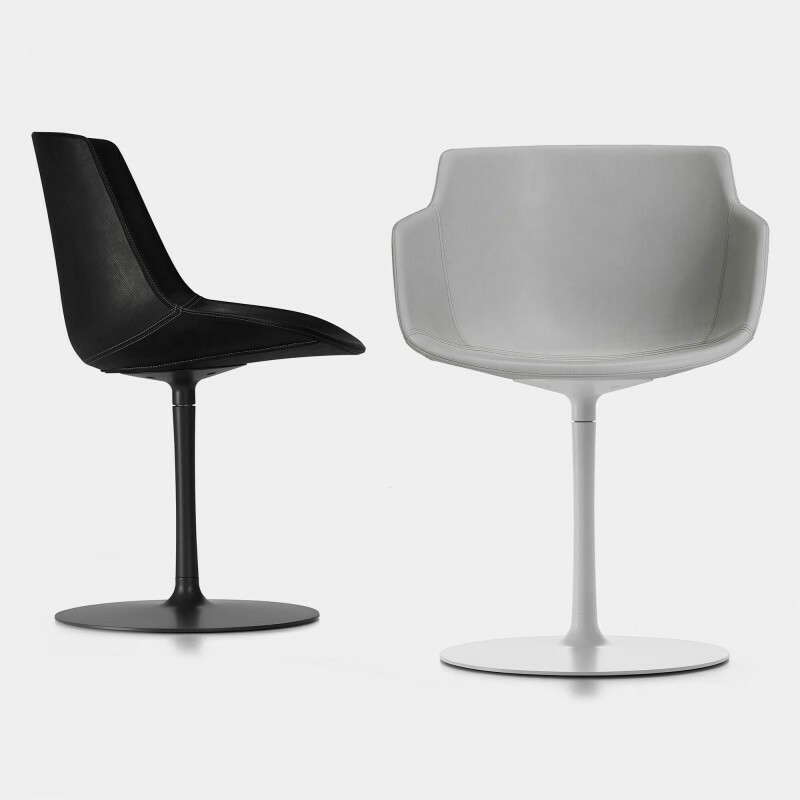 It is micro-perforated externally, while inside it is smooth. It is a premium leather, suitable for specific home environments such as dining rooms, living areas, but also for home office and smart working spaces. 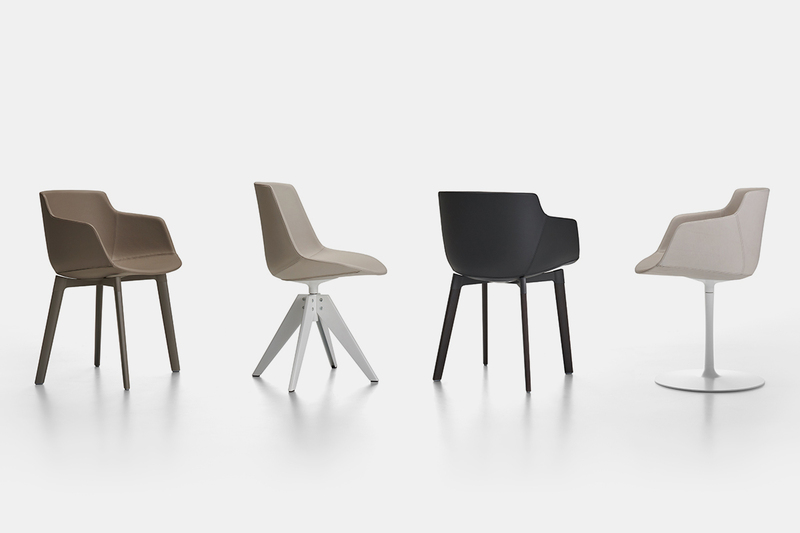 The second type, Nuvola leather, conceived for business and public venues such as restaurants, hotels, offices. 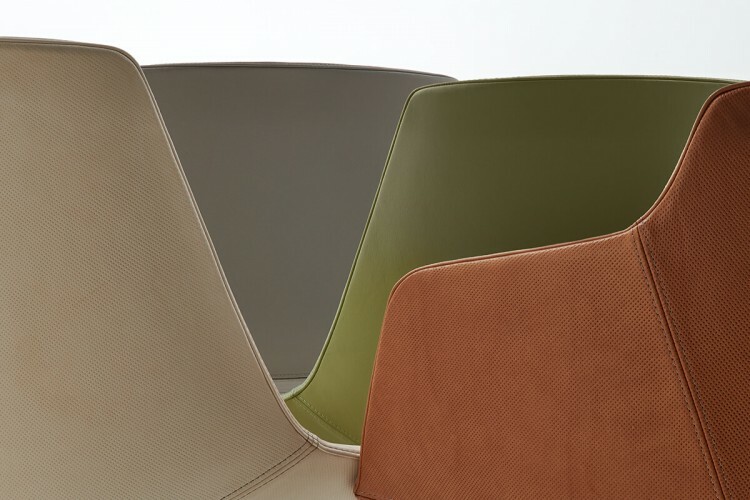 It's a leather micro-perforated internally, while it is smooth on the outside: it is a contemporary, dynamic, high-impact covering, which at times recalls the look of sports car seats and comes in 11 colour tones. 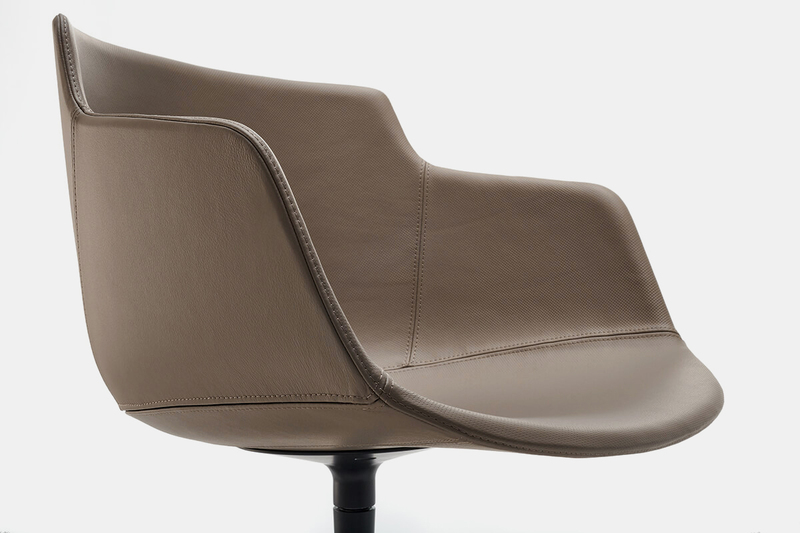 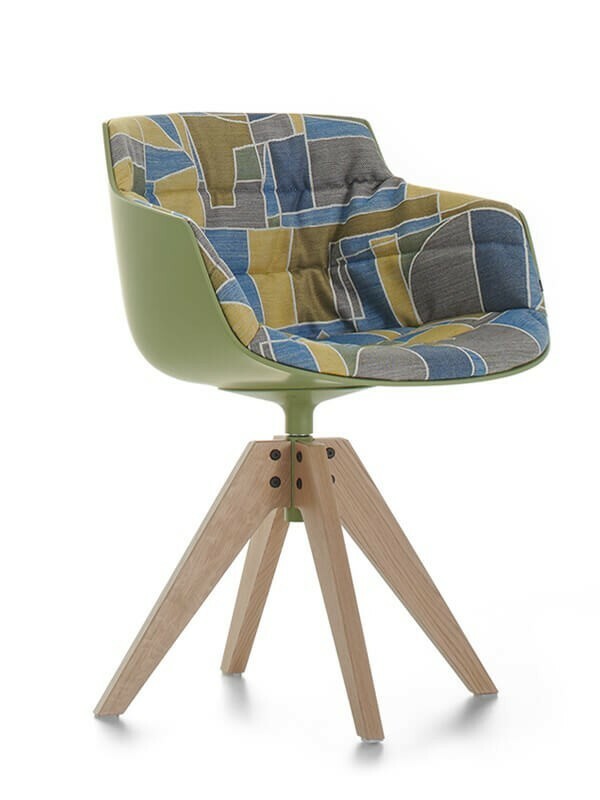 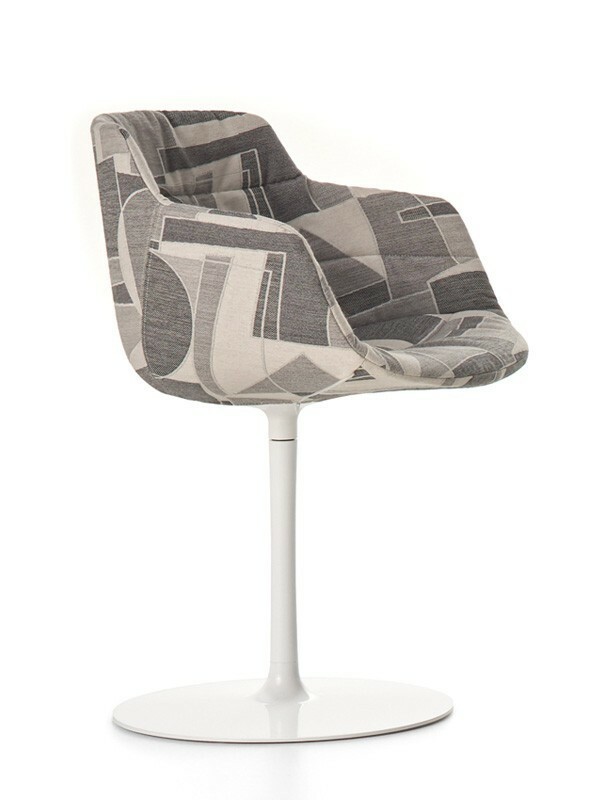 Flow Leather enriches the already large Flow family, with new suggestions and emotions. 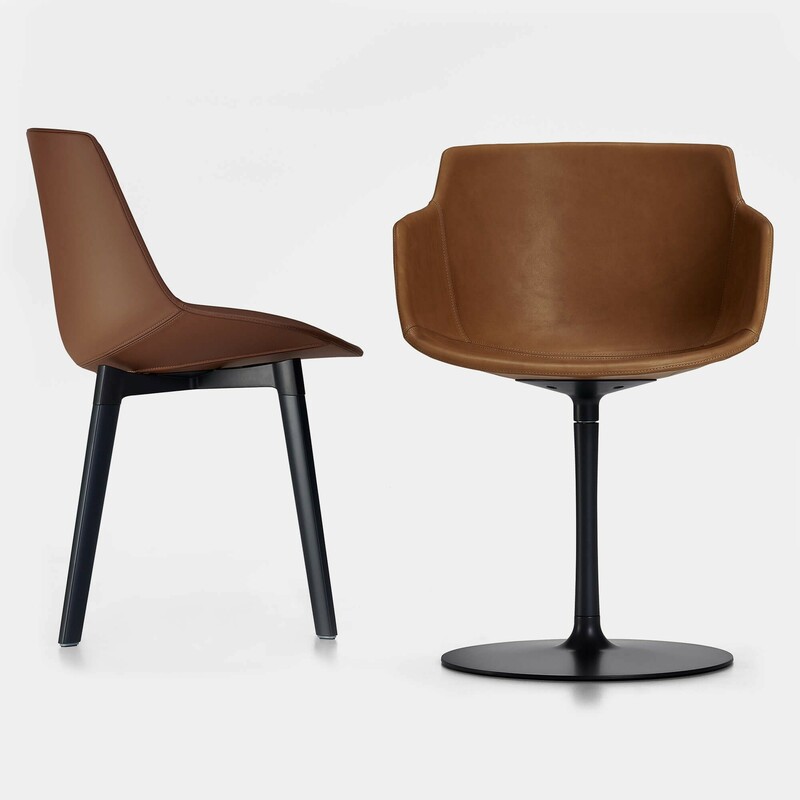 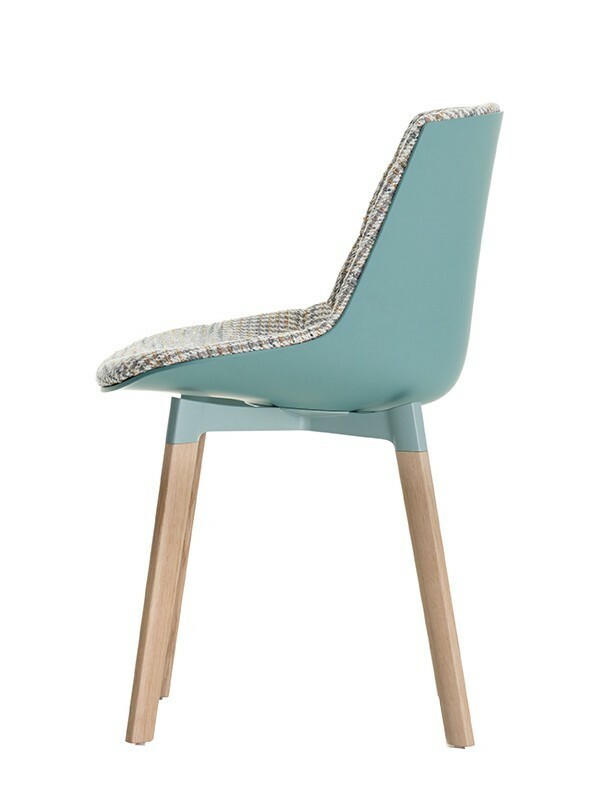 Rigorous and versatile, smooth grain leather upholstery with mineral tanning, featuring full and intense colours; the armchair has smooth leather on the outside and micro-perforated leather with stitching in same tone on the inside. 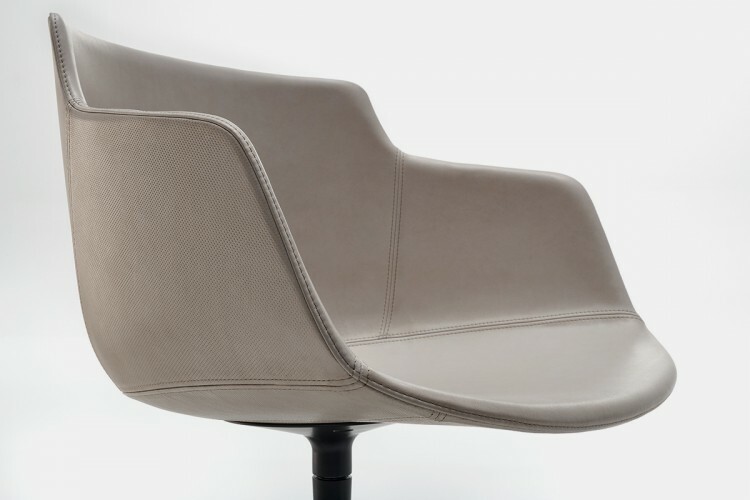 Luxurious and sophisticated, top-quality upholstery, full grain, pure aniline, with a soft and silky hand; distinctive for its natural tanning, the leather demonstrates all of its material and its innumerable shades. 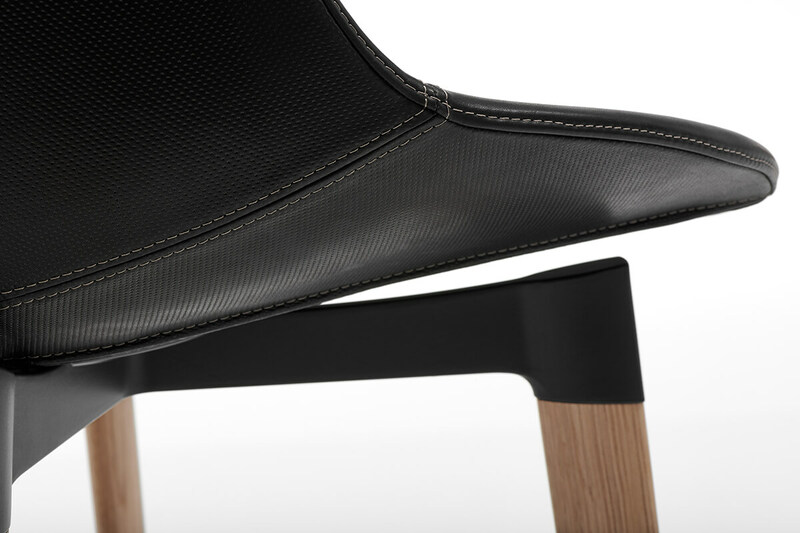 The armchair has micro-perforated leather on the outside and a smooth inside with contrast stitching. VN 4-legged steel base, base with central leg, VN 4-legged oak base and 4-legged oak base, 4-legged Cross base and cross oak base.